Light Up Your New Year with ENERGY STAR® - UGI Utilities, Inc.
Save instantly on qualifying ENERGY STAR® rated LED lighting this year. UGI can help you save energy and money when you purchase select LED light bulbs at local participating retailers. For a limited time, select ENERGY STAR® rated LED light bulbs are eligible for instant in-store savings at check out. Visit www.ugi.com/rebates-for-home/electric and click on LED Lighting to find participating retail outlets near you! 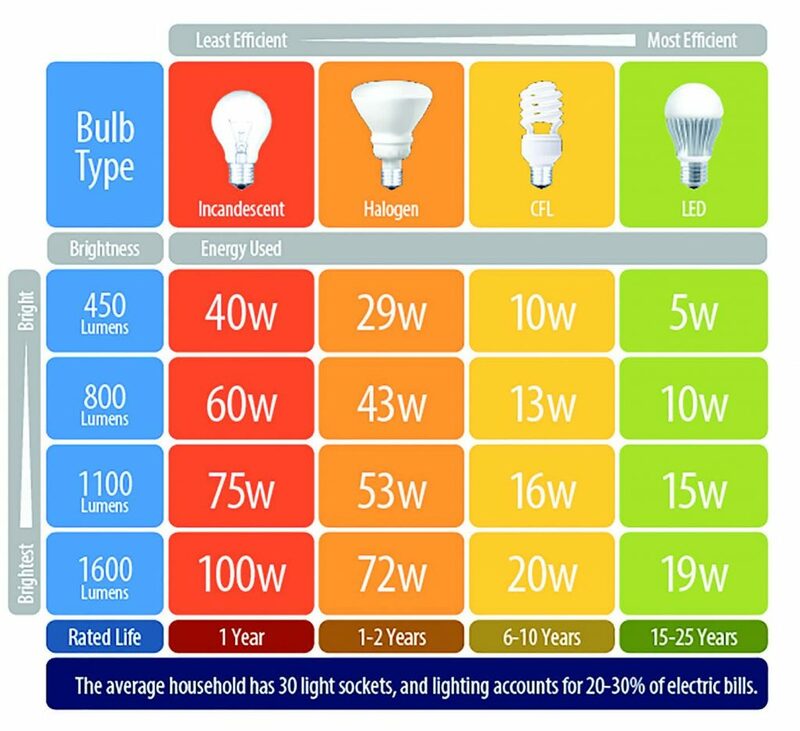 With many varieties of energy-efficient lighting available, how do you choose the bulb with the best light? First, look for lumens, which measure the brightness of the light. The higher the number, the brighter the light. Then look to find the type of bulb that uses the fewest watts of power. Last at least 15 times longer and save about $55 in electricity costs over their lifetime. Produce about 70-90% less heat, so they’re safer to operate and can cut energy costs associated with home cooling. For more energy saving tips, visit www.ugi.com/saveenergy.